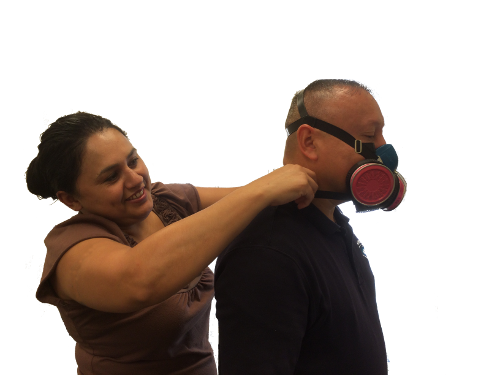 Medical evaluation of a worker's fitness to wear respirator. Our clinic staff reviews clearance questionnaires, as required by OSHA, to determine if there is any reason preventing a worker from using a respirator. Determines how efficiently respirators block harmful substances. Who needs respirator fit tests? Those who wear a respirator. 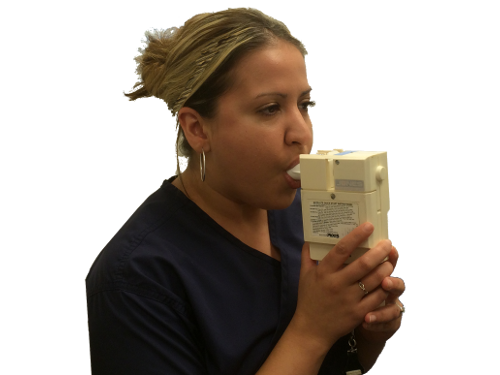 Qualitative: subjective test in which worker indicates if test substance can be detected through the respirator. Quantitative: objective test in which a monitor measures precisely how much test substance leaks through the respirator. Tests movement of air in and out of lungs. 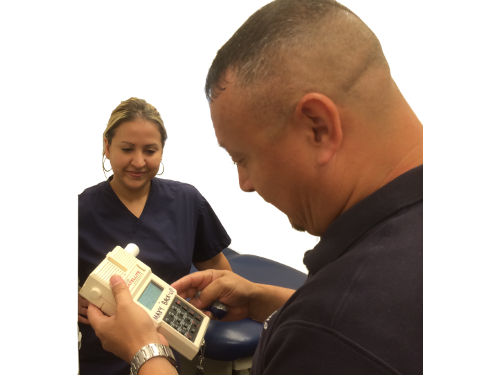 Who needs pulmonary function tests?